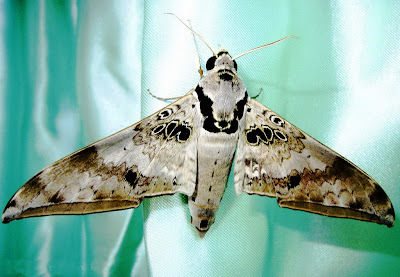 Ambulyx (formerly Oxyambulyx) canescens is considered a forest pest because its larvae feed on the leaves of young Dryobalanops lanceolata, a timber tree. 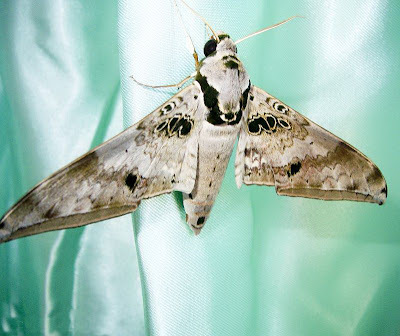 This hawkmoth is found in Indochina, Malaysia, Sumatra, Java, Borneo and the Philippines. Ambulyx canescens Walker, 1864, List Specimens lepid. Insects Colln. Br. Mus. 31: 38. Oxyambulyx canescens Walker; Rothschild & Jordan, 1903: 205. Diagnosis. Both this and the next species differ from Bornean congeners in having a pair of ocellate marks subapically on the abdomen rather than a narrow dorsal line, more than two subbasal patches on the forewing, definite discal spots, and hindwings concolorous with the forewing. 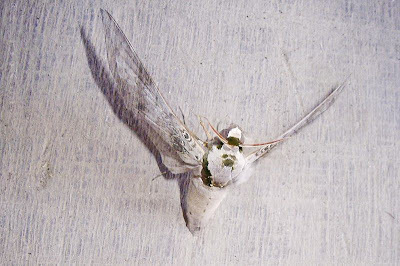 A. canescens is a more greyish species with stronger subbasal markings on the forewing and a stronger green edging to the thorax; there are distinctive pale patches on the hindwing. Geographical range. S.E. Asia, Sundaland; Philippines. Sumatra. Habitat preference. 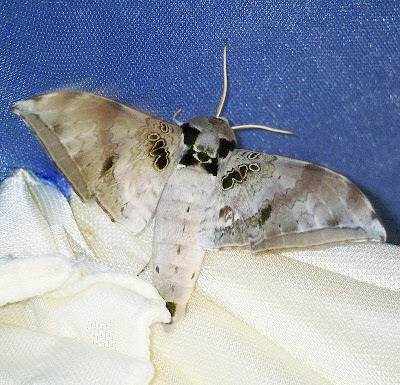 Harman (1981) recorded the species generally in Brunei. On the Kinabalu and Mulu surveys it was only taken above 1500m, the highest record being from 2600m. Now we recorded at May 2009 at Curup town, rejang land, sumatra, Indonesia. Biology. The species has been reared from Shorea lepidota (Dipterocarpaceae) at FRIM (Forest Research Institute of Malaysia). And now we found at Curup town, Rejang Land, Sumatra, Indonesia.